Lending a helping hand to our customers with top-rated time tracking makes sense. So does offering business partnerships you can trust. Our partners care about the same things we do: our customers. QuickBooks Online and TSheets make quick work of everything from accounting to employee accountability. Track employee time anywhere and everywhere, then sync timesheet data and run payroll automatically and accurately. Read more about how TSheets and QuickBooks Online work together. Xero and TSheets bring beautiful accounting software and beautiful time tracking together so you have more time to focus on what you love most: your business. 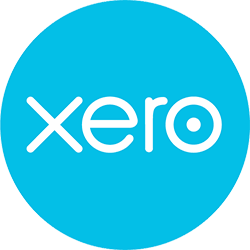 Learn about Xero + TSheets: simply beautiful. Start with the TSheets mobile or web-based timesheet app to track employee time. Then approve timesheets in TSheets and export them to Reckon. No more manual data entry, no more human error. Just improved accuracy and productivity. Learn more about how TSheets and Reckon Accounts can help your business. Just download the time tracked in TSheets to a CSV file to be uploaded into your MYOB account. Process payroll and invoicing that much quicker. Learn more about the TSheets and MYOB flat file integration. TSheets timesheets can integrate with any accounting solution that accepts flat files, to streamline payroll and invoicing. Don’t see your solution listed? No problem! Contact us at 1800 726 313 to learn more. Start your 14-day free trial of TSheets by QuickBooks to see our integrations in action!